The early 90’s is considered by some to be the golden era of Hip Hop – a time where De La Soul, A Tribe Called Quest, The Pharcyde, Public Enemy, and NWA produced music robust with messages of political unrest, a hunger for knowledge, and self appreciation that represented a culture and generation of young people. It was a period where the 90’s babies learned what they could from the best and began harvesting their own skills, making them some of today’s most promising emcees. World meet Fashawn - a 90’s baby hailing from Central California whose music will leave you believing that maybe Hip Hop’s golden era has yet to arrive. Full of raw talent, charisma, and an undying hunger, the 21 year old emcee is the breath of fresh air hip-hop has been waiting for. Born in 1988, Fashawn grew up in a virtually parentless home. His father was incarcerated, while his mom was focused on feeding her drug addiction - a combination that caused a boy to become a man quicker than most. Placed in a group home by child services at the age of 12, Fashawn found solace in music, and began writing rhymes to escape the less than desirable hand he had been dealt so early in life. Eventually taken in by his uncle, Fashawn spent his teenage years calling First & Shields Ave in Fresno, California his home. Here is where he would find skating, the distractions of the streets, and the pursuance of his music career to be more rewarding than school. Yet, he had a constant thirst for knowledge that extended beyond the streets, so he became an avid reader with an affinity towards non-fiction and motivational books. 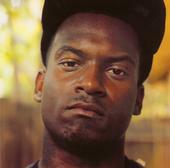 In 2006, Fashawn released his first mixtape, “Grizzly City”. Catching the attention of fellow Fresno emcee, Planet Asia, Fashawn was invited to go on the road with him. Knowing this was a chance of a lifetime; the then 17-year-old emcee dropped out of school to follow his dreams and has never looked back. Since then he’s had the honor of working with premier DJs, Mick Boogie and Terry Urban on the Orisue clothing sponsored “One Shot One Kill” mixtape, and with Hip-Hop internet heavyweights OnSmash.com and NahRight.com on his “Higher Learning” mixtape. Both efforts garnered him nationwide recognition. 2 months prior to releasing his debut album he released an 11-song collaboration with multi-platinum producer “The Alchemist” titled “The Antidote”. The release has been considered one of the top mixtapes released in 2009. The road and the studio is no mystery to Fashawn as he’s been fortunate enough to work with and/or tour with some of the industries top artist. Working with Ghostface Killah (Def Jam), Talib Kweli, DJ Muggs (Cypress Hill), DJ Khalil, Evidence, J Cole, Blu, Mistah Fab, The Alchemist, Aloe Blacc, The Grouch, UNI, and Planet Asia, as well as The Roots (Late Show with Jimmy Fallon).